Today, Roach Gigz drops the video for the latest single off of his mixtape Roachy Balboa III. The visual (his seventh from this project,) for “Against The Law” shows Roach living out the fantasy of pulling off a bank heist and escaping to a faraway beach with the girl of his dreams. Armed with production by P-Lo of HBK Gang that includes ringing bells, glitchy high hats and bark-like shouts, the video shows Roach and his little cohorts don vintage mobster outfits and guns to overtake a local bank, John Dillinger-style. 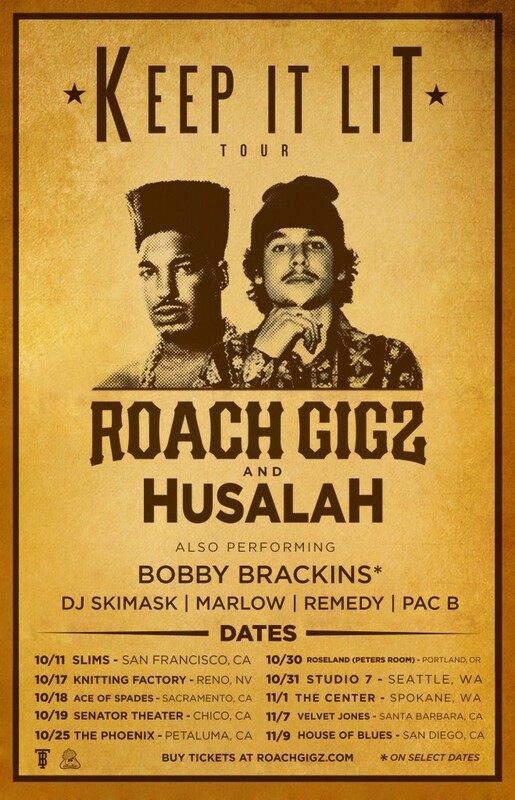 Roachy will be heading out on his Keep It Lit Tour with Husalah featuring Marlow, Pac B, Remedy, Bobby Brackins, and DJ Skimask. The tour covers the west coast starting October 11th in San Francisco and ending in San Diego on November 9th. Roachy Balboa III, which features Iamsu!, Kreayshawn, Clyde Carson and production from Nick Catchdubs , Jay Ant, Nima Fadavi and more, is available for free download or streaming on Soundcloud.